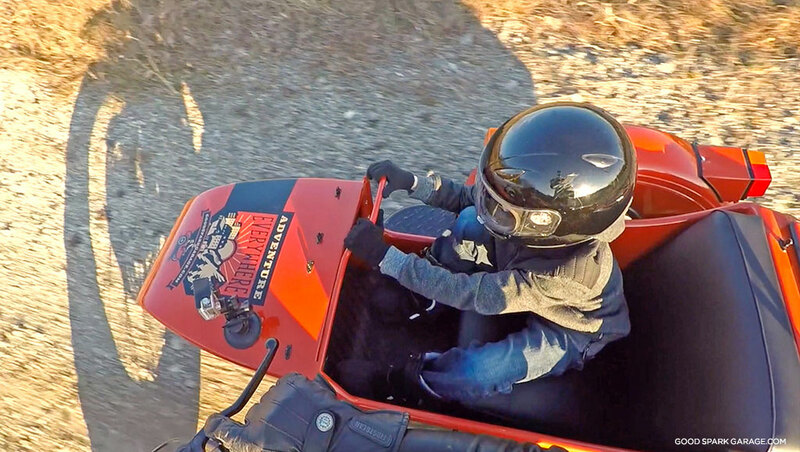 Riding in a sidecar is fun! In the video below, you’ll see tips to help make it a safer, more enjoyable experience for passengers. Enjoy the ride! • Written and Produced by WilkinsonBrothers.com (the bros behind this blog). 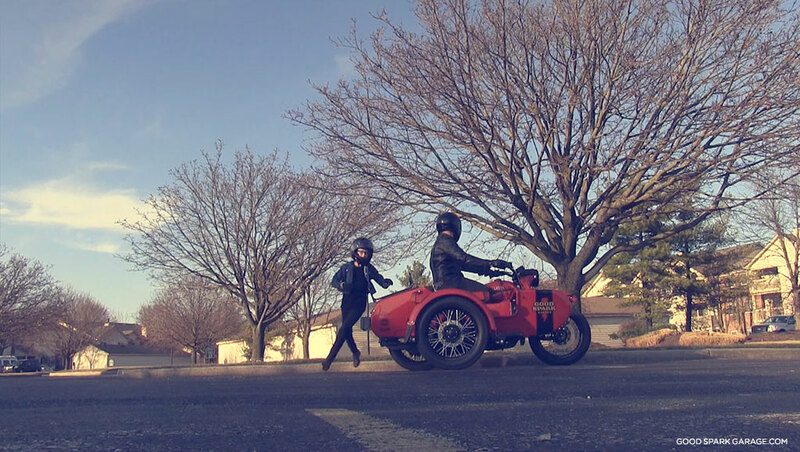 • The sidecar motorcycle featured in this video is the Ural Motorcycles cT; learn more about it here. 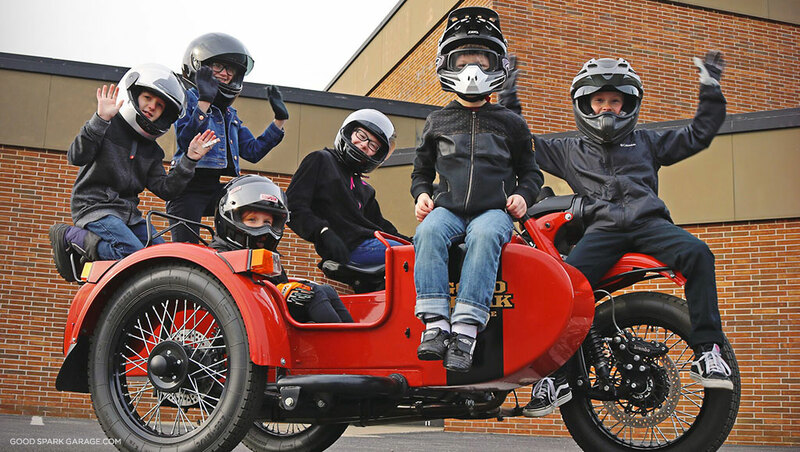 Our children will tell you, it’s fun to be sidecar kids. But, they’ll also tell you there are things you need to do to be careful as a passenger. And, since laws vary state by state in the US, the rider should look into rules regarding child passengers with the DMV of any state he or she may be travelling in. Here’s the easy stuff: Wear a helmet. Protect your eyes. Wear sturdy boots, protective gloves and protective jacket. We’ve even see some sidecar kids wear chest protectors. We recommend a full-face, DOT-approved helmet. 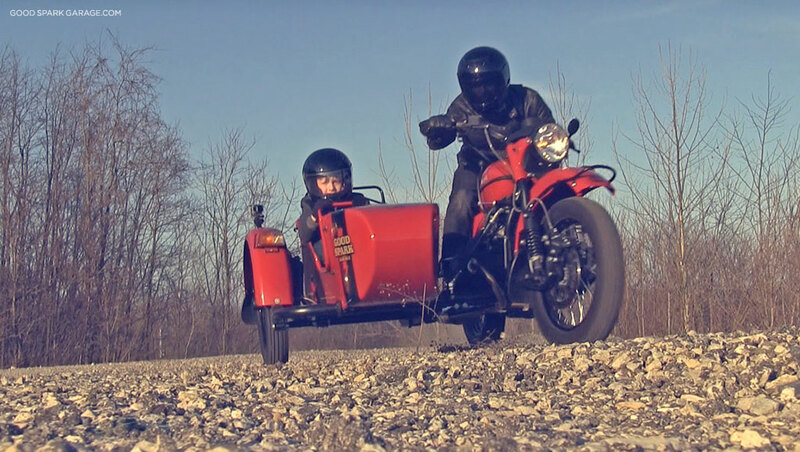 Sidecar kids should consider establishing hand signals with the rider. 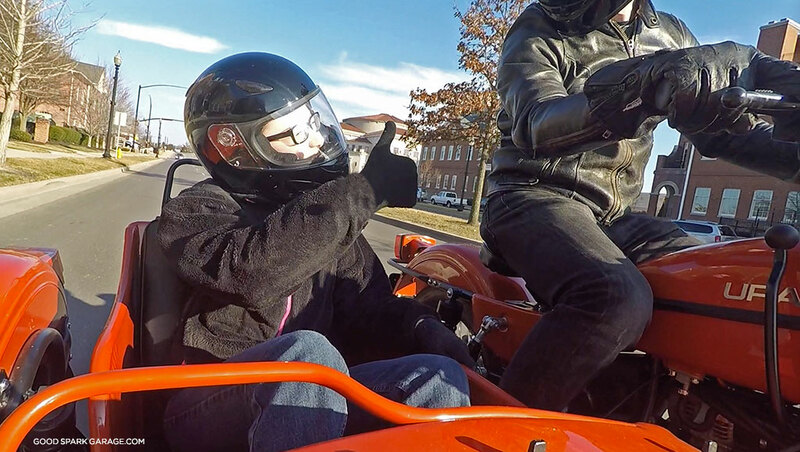 To kids who want to ride in a sidecar: Listen, road riding can be dangerous no matter how safe the rider is. If you really want to ride in a sidecar, but worry about riding in traffic, let the rider know that. You can ride at lower speeds at a park or in a neighborhood with less congestion. 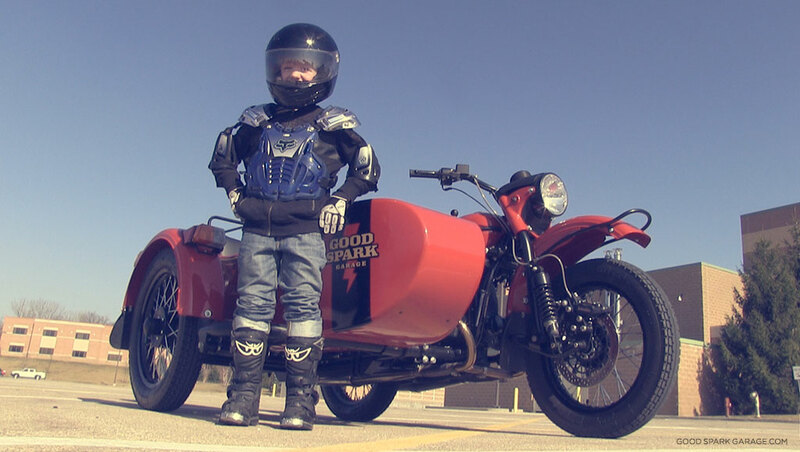 Sidecar kids should always be ready for a quick stop or turn. • Don’t get into a sidecar unless you know the adult is thinking clearly. • The rider should also have a motorcycle license. • If you’re not sure the adult is an experienced sidecar rider, don’t jump in. 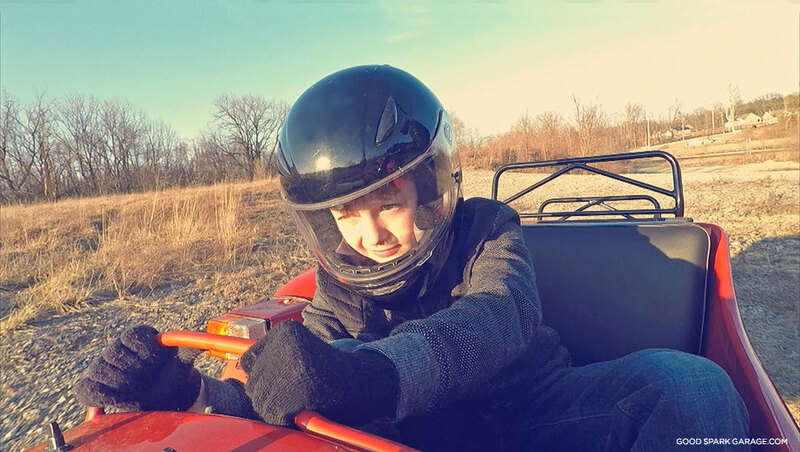 If a kid has never ridden on a motorcycle or go-kart or buggy or whatever, they may not be ready to anticipate leaning with turns or bracing themselves properly. Give them some sidecar practice in a yard or an open lot so they know how to properly use their arms and legs to steady themselves. Follow Good Spark Garage on Twitter, Instagram, or Facebook.